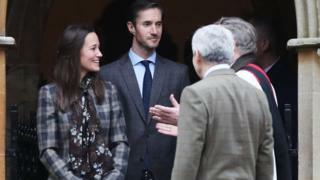 It is the big day for Pippa Middleton and her fianc James Matthews, whose nuptials have fuelled impatient guesses over wedding dresses, guests and menus. Miss Middleton, the younger sister of the Duchess of Cambridge, got engaged last year to financier Mr Matthews. 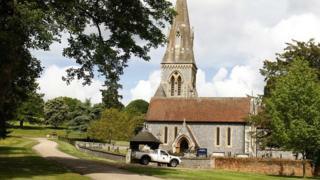 The pair tie the knot this morning at St Mark’s Church in Englefield, Berkshire, in a private ceremony. But with two future kings going, it has hardly escaped the glare of the showbiz press – so what can guests expect? Guests will fill the 12th-century church of St Mark’s, which is few miles from the Middleton family home in Bucklebury, ahead of the service at 11:30 BST. St Mark’s is on private land and therefore relatively sheltered from the camera crews expected to descend on the surrounding village. Englefield is mostly within the bounds of Englefield House, the country estate owned by Conservative MP Richard Benyon. It is understood there will be strict security plans in place on the estate, with villagers being asked to carry ID on the day and not to speak to the press. It will be a royal and star-studded affair, with the Duke and Duchess of Cambridge and Prince Harry on the guest list. Miss Middleton, 33, was maid of honour when her sister married Prince William in 2011. The bride’s nephew and niece, Prince George and Princess Charlotte, will be page boy and flower girl. Actress Meghan Markle, Prince Harry’s girlfriend, is also reportedly in the UK to attend the bash. The best man is reality TV star Spencer Matthews, the groom’s 28-year-old younger brother. In the absence of a full guest list, newspapers have put forward their own estimates for how many will attend the wedding, with figures ranging from 130 to 350. Many well-wishers who did not make the guest list are nevertheless planning to turn up. Janice Clayton, 74, arrived on Friday from Merseyside with hopes of seeing the Royal Family and Miss Markle. Theresa Peters, 84, has travelled from Swansea with hopes of “getting a glimpse of a few famous faces”. John Haley, who owns The Old Boot Inn in Stanford Dingley, near the Middleton family home, said there was a “buzz” around the area ahead of the wedding. 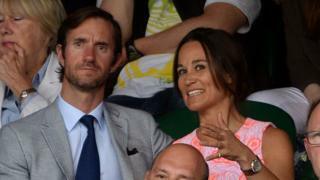 Image caption Miss Middleton’s diamond ring – but what will the wedding bands be like? Miss Middleton’s diamond engagement ring cost a reported 250,000 – nearly 10 times the budget for the average wedding day. However, details of the couple’s wedding bands have been kept under wraps. 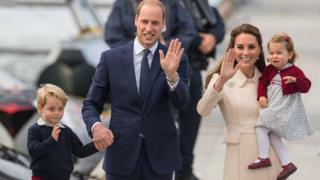 The Duchess of Cambridge’s wedding ring was made from Welsh gold, according to a royal tradition dating back to 1923, when Elizabeth Bowes Lyon, better known as The Queen Mother, married the future George VI. It’s no surprise that guests – and the groom – will have to wait to see what Miss Middleton chooses to wear down the aisle. 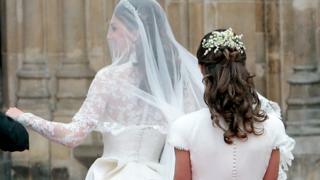 At the Duchess of Cambridge’s wedding, Miss Middleton wore an ivory gown designed by Alexander McQueen, while her sister wore a Sarah Burton design. 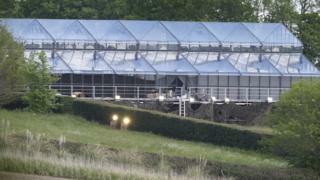 Guests will celebrate the wedding in a large glass marquee, which cost an estimated 100,000 and has been erected on the Middleton family estate a few miles from the church. Miss Middleton, who has written a cookbook, has selected a menu including one of her own lamb recipes. Next articleFirst reactions to ‘Wonder Woman’ are out. Buckle up.